Posted July 10th, 2018 by Brassica Contributor & filed under Brassica, Broccoli, Detoxification, Featured, Glucoraphanin, Health, Recipes. 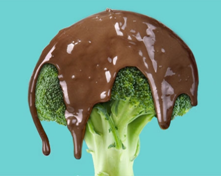 You probably already know that broccoli is a nutritious food – it is! Broccoli is full of fiber, potassium, vitamin C and vitamin K. But if you’re wondering what makes broccoli extra special when it comes to supporting health, it’s this: the important phytonutrient called glucoraphanin. Posted November 27th, 2017 by Brassica Contributor & filed under Brassica, Detoxification, Featured, Recipes, Tea. Posted September 5th, 2016 by Brassica Contributor & filed under Broccoli, Detoxification, Featured, Glucoraphanin, Myrosinase, Recipes, Uncategorized. Posted July 21st, 2016 by Brassica Contributor & filed under Broccoli, Detoxification, Featured, Glucoraphanin, Recipes. Posted June 23rd, 2015 by Brassica Contributor & filed under Broccoli, Detoxification, Featured, Glucoraphanin, Health, Myrosinase, Recipes. Posted May 19th, 2015 by Brassica Contributor & filed under Broccoli, Featured, Glucoraphanin, Health. We think glucoraphanin found in broccoli is pretty super, but realize there’s a lot of confusion and mystery in the nutrition world about this phytonutrient. We break it down for you in the following infographic. Posted April 21st, 2015 by Brassica Contributor & filed under Brassica, Featured, Glucoraphanin, Health. Posted February 11th, 2015 by Brassica Contributor & filed under Brassica, Broccoli, Featured, Glucoraphanin, Health, Recipes. Posted January 27th, 2014 by broccoli & filed under Featured, Tea.